Our custom built planters are stylish and hassle free way to garden and can save you a lot of time. Built to fit almost any shape our planters help to organise your plants, freeing up lawn space and providing movable beauty in your garden. Growing your own fruit and vegetables can be much easier in our planters and growing different kinds of plants can be a much simpler task than ordinary lawn planting. 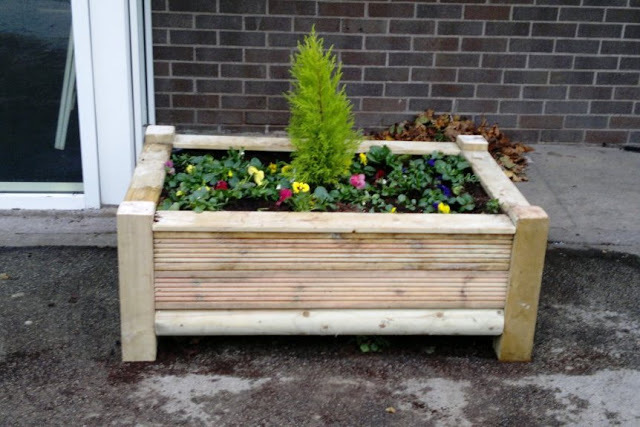 In Schools planters are a fantastic way to engage children with nature and growing and can be used to encourage flower and herb growing. 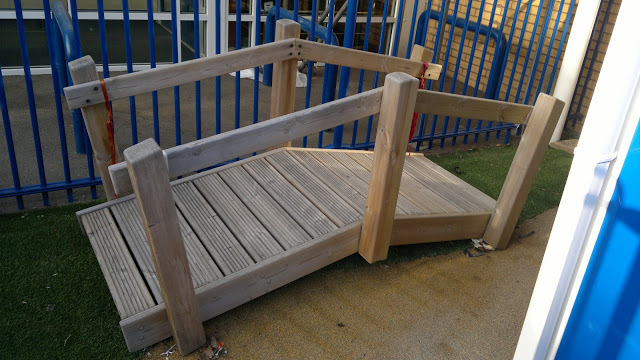 The movable planters, often used for key stage one and two children, can provide a unique learning experience. 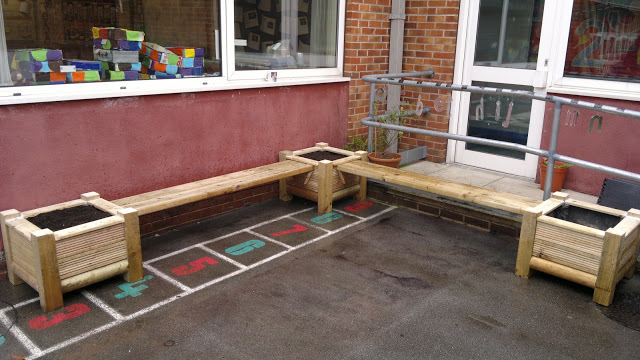 Giving children the chance to step out of the class room and into the outdoors the planters can encourage an interest in the environment and greener living. Our planters can be custom made to fit any space. This means that even in the most limited space Chain Reaction Yorkshire Ltd can help to utilise awkward and otherwise wasted spaces. Just contact us for ideas and for a detailed quotation. We can help you make the most of your space.